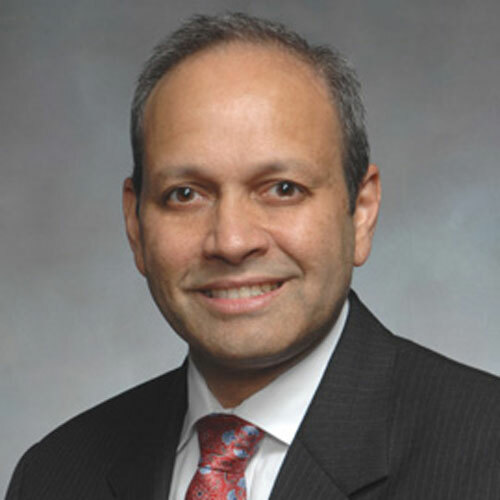 Dr. Prithvi Narayan is Chief, Section of Pediatric Neurosurgery, St. Christopher’s Hospital for Children and Associate Professor of Neurosurgery, Drexel University School of Medicine. He attended medical school at Washington University School of Medicine, St. Louis, MO, residency at Emory University School of Medicine, Atlanta, GA, and fellowship at St. Louis Children’s Hospital, St. Louis, MO. His clinical interests include brain and spinal cord tumors, epilepsy, chiari malformations, craniofacial repair, and vascular malformations. His research interests include chiari malformations, translational research, and craniofacial technique development.